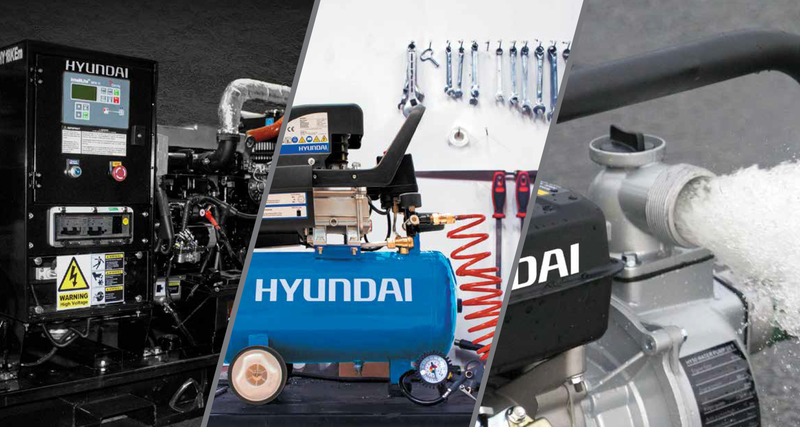 It is our aim to be the biggest distributor for engine driven power equipment in the UK and make the Hyundai brand the number one for outdoor power equipment in the UK home use market. Hyundai Power Equipment – Value, Reliability and Performance. In 2017 we have worked hard to greatly expand the product offering from Hyundai. Exciting new ranges include a range of light construction equipment- from cement mixers to concrete saws and compactor plates. The new Hyundai pressure washers offer something for everyone, with hot and cold washers for DIY and Commercial use and the garden machinery range has been greatly increased with home use and professional machinery now included in the range. The growth Genpower is experiencing is being fuelled by the excellent value for money that the Hyundai products offer, backed up by a dedicated UK based parts and aftersales team. The new business wide software system we have just installed allows us to process 100’s of orders daily and has been a major step forward in the growth capabilities of the company. Our route to market has seen a major shift to internet sales over the last couple of years, with traditional independent dealers on the decline, major players like Amazon and Ebay are forging ahead, we are also starting to work with some of the major chains such as Halfords, Tesco and Homebase. Through these route to market we are going to see massive growth in the domestic use products. Professional use machines continue to be sold through a combination of major internet players and traditional Tool hire and agricultural machinery outlets. The wide range of Hyundai products allows us to overcome any seasonality and trade strongly twelve months of the year.